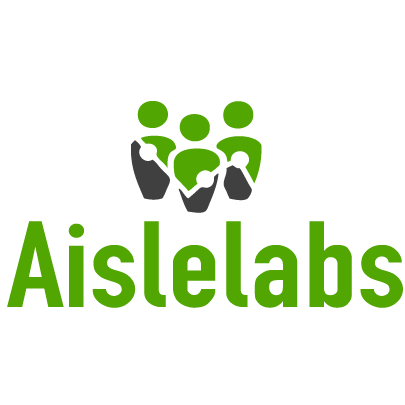 Aislelabs specializes in proximity and in-store marketing software for retailers. The Aislelabs suite of products brings big data into retail stores, leading to increased sales and a boost in customer satisfaction. Aislelabs Engage is a proximity marketing tool that enables retailers and other brick-and-mortar stores to reach consumers while they're in or near the store. An intuitive template-based UI and a cloud-based intelligence engine can help craft and deliver real-time push notifications with special offers, location information and more. Aislelabs uses Bluetooth-based iBeacons for precise indoor location along with GPS and WiFi technology. Aislelabs Flow is a location-based analytics platform designed to provide retailers with actionable insights on how shoppers behave inside and outside your stores. The solution makes it possible to visualize and compare first time and repeat visitors, get reports on customer loyalty, dwell times, real-time heat-maps, and more. An easy-to-use cloud-based interface provides a real-time view across all stores so that you can track key objectives across all store locations, slice and dice metrics across your properties in ways that make sense for your business, and get complete visibility on shopping behavior. Aislelabs Navigate is advanced location technology that combines the power of iBeacon Bluetooth and Wi-Fi technologies to get the most accurate indoor location. Navigate is simple to configure and manage through a user-friendly dashboard. Aislelabs Pass is a creative campaign creation tool based on mobile wallet coupons and Apple's Passbook passes. Retailers and other stores can easily manage a catalog of Passes and coupons with a user-friendly dashboard and attribute sales back to specific email campaigns, social media marketing, and physical displays. Aislelabs Social WiFi is an in-store intelligence tool that uses the store's guest Wi-Fi to get access to shopper age, gender, interests, email and other key attributes.